This mod applies the Valdacil's Item Sorting (currently supported version 3.0.0) mod, obviously by Valdacil, tags (such as [Crossbow] or (Bolt)) to the names of the items added by the Faction Crossbows SE mod (currently supported version 1.1) by Deserter X (nsk13). The only non-obious tag applied in this patch is |Recipe| instead of |Book| that is applied to the crossbow crafting manuals. This mod should be easily merged into a Bashed Patch, and just as easily ghosted to not increase the esp load on your load order. This mod does not modify literally anything other than the weapons (i.e. records of WEAP type), books (i.e. records of BOOK type) and ammunition (i.e. records of BOOK type) added by the Faction Crossbows SE mod, which means that it shouldn't modify any of your cells, original items, quests, scripts, etc., etc. Since the last mod I've made was a really simple modification for Fallout 3, I am extremely rusty. Even though this mod should be completely safe and I did test it myself, I might be totally wrong. So, just in case, save before installing this mod, and, of course, report any issues you find, or, if you don't find any, say so in the comments as well! If it works, I'll continue making patches for VIS, since Valdacil, who totally deserves your respect and endorsements, has a ton to deal with already. And, of course, please also endorse the Faction Crossbows SE mod if you didn't already. Download and install both Faction Crossbows SE and Valdacil's Item Sorting, if you didn't already. Download this file via the button to install it with Nexus Mod Manager or download this file via the button and put the VISPatch-SA-FactionCrossbows.esp file into your Skyrim\Data directory (something like C:\Program Files\Steam\steamapps\common\Skyrim Special Edition\Data). Activate it with your mod manager of choice, be it the default one or the Nexus Mod Manager. Make sure it is below Faction Crossbows.esp in your load order. 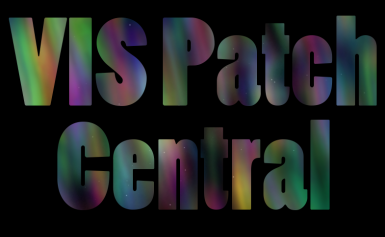 (Optional) Make a Bashed Patch (refer to the description for another patch of mine for details for that step and the next one). (Optional) Ghost the .esp file.